Tornum pipe magnets filter undesired ferromagnetic metal particles out of granulates, fibres and coarser materials in high capacity free-fall lines. 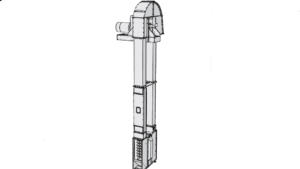 They are robustly designed to withstand continuous operation. 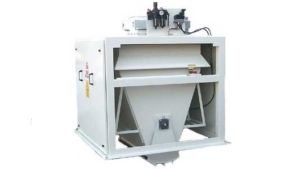 They offer a very high degree of separation, provided the magnets are cleaned regularly. 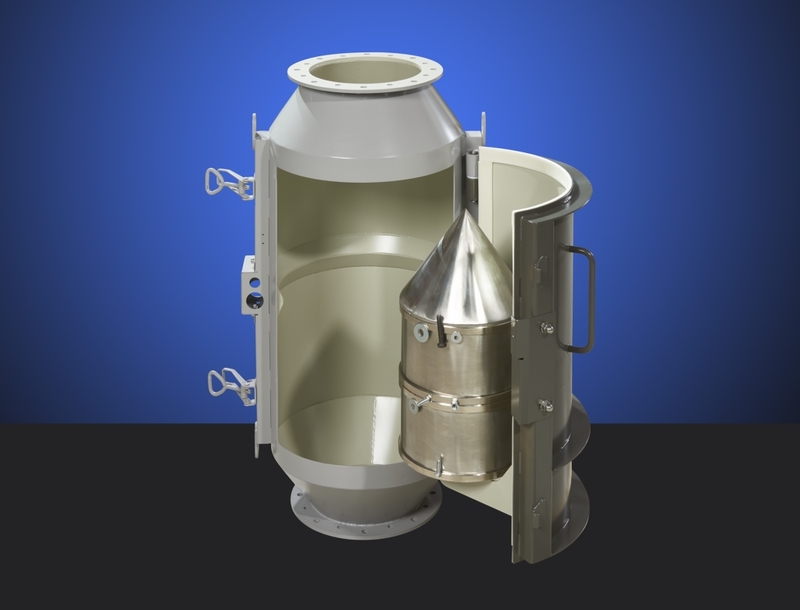 The 60° cone creates a smooth product flow with good distribution. The product passes two powerful magnetic fields, where guide strips directs the product toward the magnetic core. 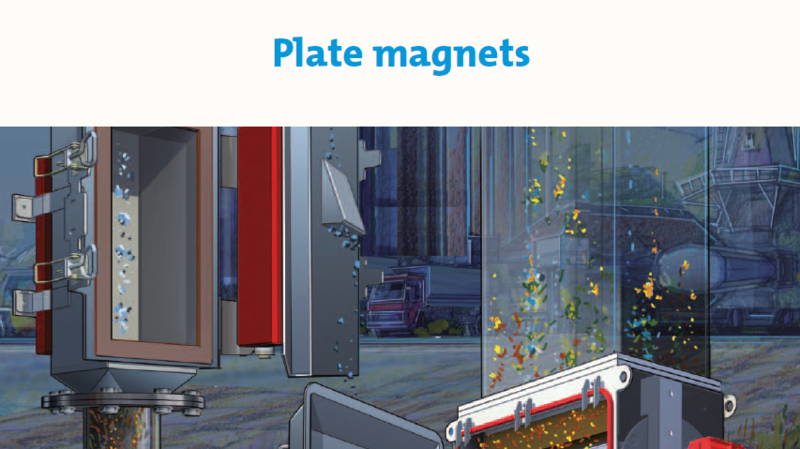 Plate magnets are cost-effective, robust solutions well suited for filtering undesired ferromagnetic metallic particles out of free-fall product flows or products on conveyor belts with relatively little Fe contamination. They provide a deep, powerful magnetic field that captures Fe particles from the product flow and securely hold these contaminants. Plate magnets are available in several standard sizes, with either ferrite or neodymium (Neoflux®) magnets. Magnet cleaning is performed manually by wiping, or semi-automatically by swinging the extractor plate away from the magnet. 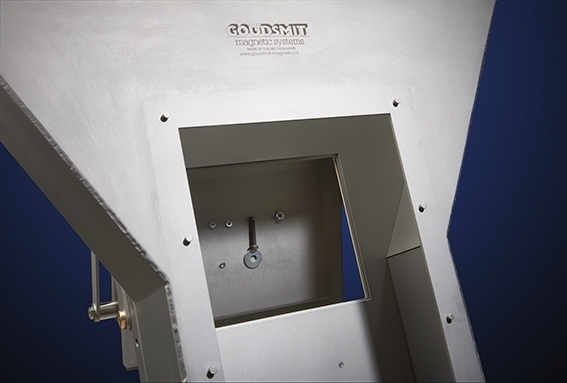 A plate magnet can be used in a conveyor chute system. 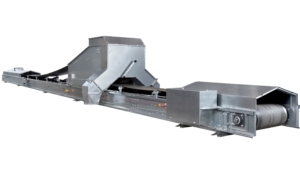 A product travelling through a conveyor chute can reach very high speeds. This makes it essential to use a powerful Neoflux® magnet. The product contacts or passes close to the magnet, and the powerful magnet draws in the Fe particles and holds them securely. Plate magnets can also be used as overhead magnets, hanging above the product flow or mounted below the product flow. 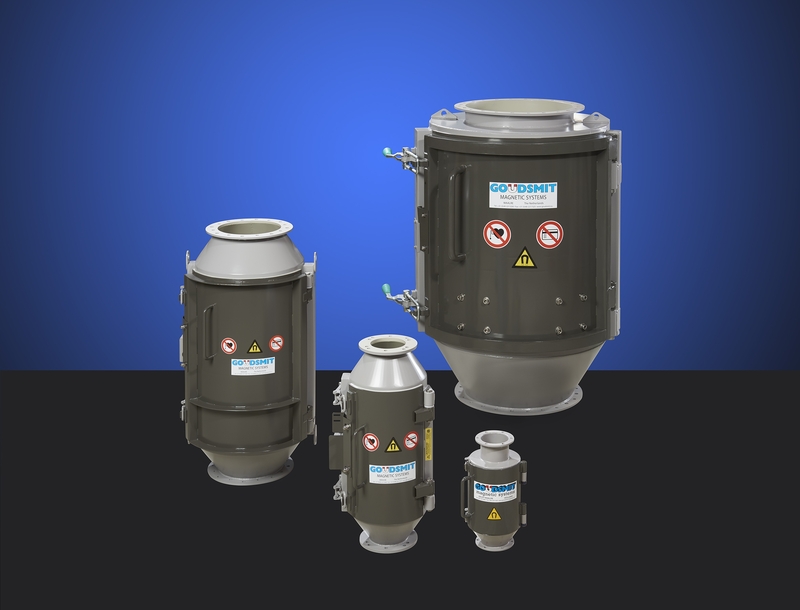 Drum magnets are typically used for powders, granulates, fibres and coarser materials with heavy Fe contamination. 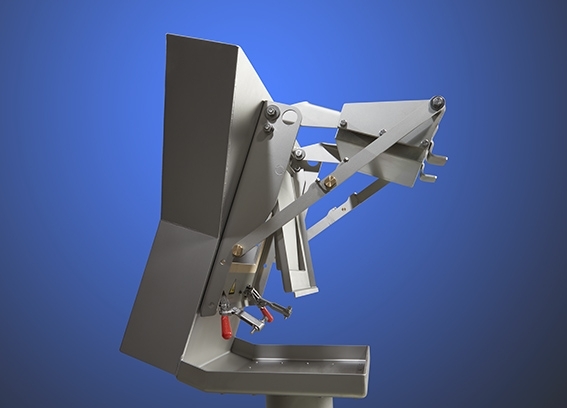 Magnetic separators prevent contamination of your end product and unnecessary damage to other equipment. Drum magnets remove undesired ferromagnetic metallic particles such as iron or steel, or slightly magnetic particles such as processed stainless steel, from materials in high capacity free-fall lines. A drum magnet is a stationary 180° magnet segment around which a stainless steel drum rotates. A drum magnet is a continuous system, where it is not necessary to stop the product flow to remove the filtered Fe particles. 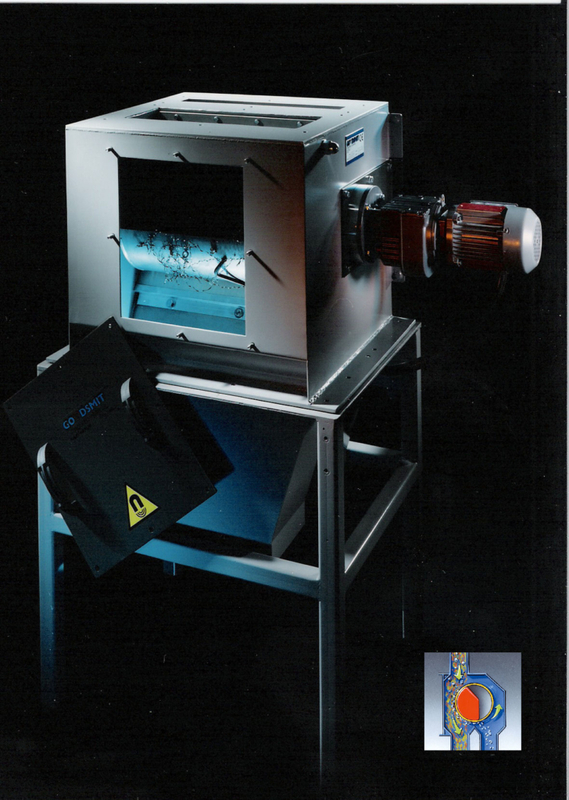 This makes the drum magnet very suitable for product flows with heavy Fe contamination.